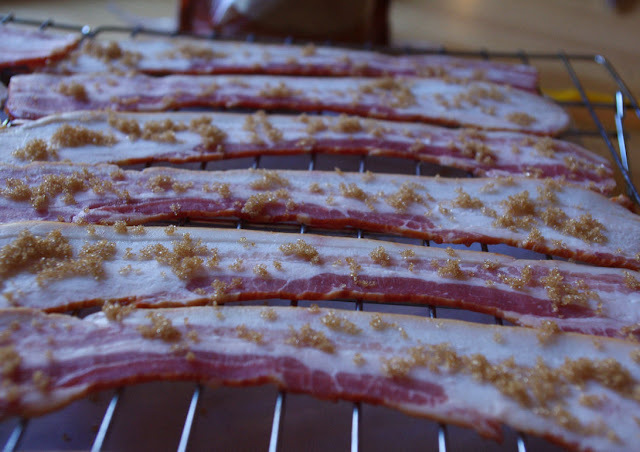 Foodalution: candied bacon and an announcement! The sound of a cold night echoing with the crack and smack of a round hard hockey puck that is being hurdled towards it's goal sounds amazing. It breaks the night silence. Tonight on my night walk I stopped by the local hockey rink and watched the young and old players crisscross their way across the ice. The flood lights shadowed their faces and bodies so they became gray outlines moving swiftly like floating ships with a strong wind in their sails. The night quiet can so easily be broken with the crunch of snow or crackle of ice underneath our feet. The steel blades cutting into the frozen ice makes sound waves so strong they beg me to stop and listen. I love these sounds, do you? I have an announcement. Chocolatier School. I am embarking on a 4 month journey into the world of chocolate making. A year ago, when my life looked so differently, I would have never expected to find myself blogging let alone pursuing a class in chocolate making?! Sometimes, the voice we often ignore, speaks loud enough for us to hear, listen to and even respond to with an appropriate action. I am thrilled that I can be challenged into trying new things.... especially when it comes to chocolate! Now.... Candied Bacon.... It tastes delicious. 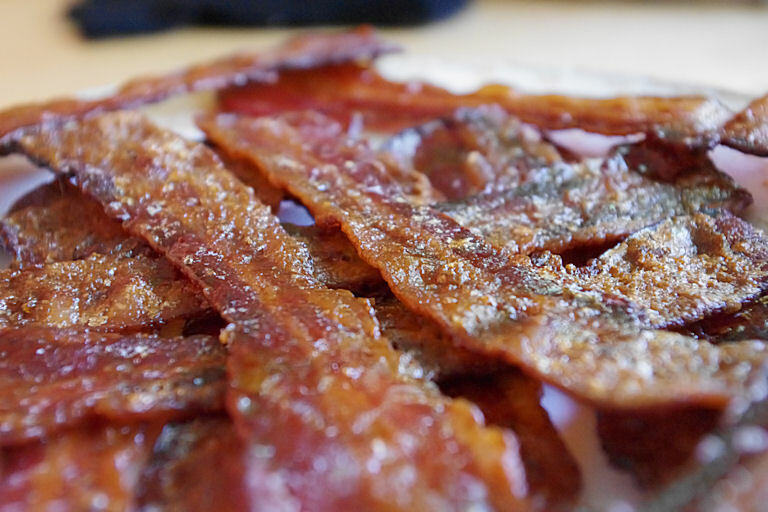 Do it right and you may never go back to pan fried bacon again. Bacon of choice - I used Willow Creek Bacon - Amazing bacon. The best if you ask me. 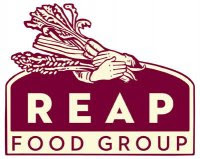 If you live in Madison area..you must try it out! Oven to 300. Line a large rimmed jelly roll pan or baking sheet with parchment paper. Take two cooling racks and steady them in the pan. Lay bacon on the cooling racks. Sprinkle with brown sugar. Bake for 30 minutes. Make sure your racks are over the pan. You do not want bacon grease dripping on the floor of your oven. Check after 30 minutes. Bacon should be nice and brown and flat and you should be able to smell the bacon and burnt sugars. Let cool and enjoy. that looks amazing! wonder if it'd work with some garlic and black pepper too? Good luck with chocolatier school!!!! Oh, this looks so so so so so so so so good!!! I don't think I can stop eating these. oh Megan - best of luck to you and your life with chocolate - so exciting. Bacon spiced up is most welcome! Good luck with your new venture--the bacon looks divine! omg, chocolate making school? that's so so so fantastic. This candied bacon, instead....I hope my husband don't see these pictures or he'll want me to make it now! 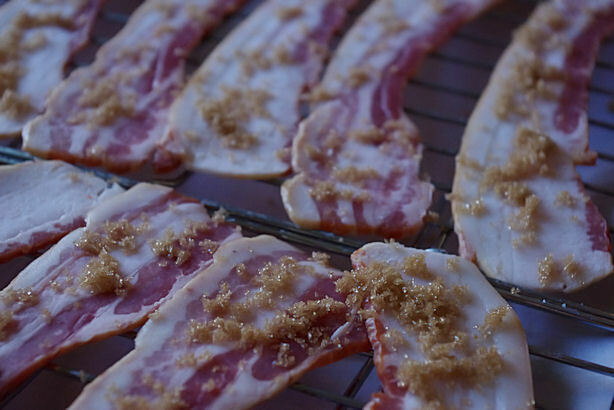 I've heard stories about this fabulous candied bacon-- I MUST try it!! Congratulations on your new endeavor! Can't wait to read about it! This looks sinfully good! And it's really cool that you are going to chocolate making school! It's really great that you'll be doing something that you really love. All the best and enjoy! Yum Yum Yum, I would now when cold dip the bacon in chocolate orange about 1 third, when set use as a garnish for a nice melon dessert. Good luck on the Chocolatier course. I have never, ever heard of a sweet style bacon. Sorry! I posted the comment before I finished! I have never, ever heard of a sweet style bacon..but it looks great! Excellent photo of the finished bacon! love love love it! And have an awesome time making chocolate! What an amazing experience that will be! Oh Megan, that is so exciting. After those 500 chocolates you made before Xmas, I know you will rock the program. Now, can you find a way to work candied bacon into your chocolate making??? 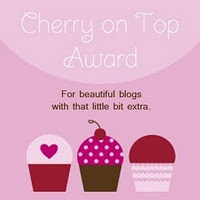 I hope you continue to blog while you are going to chocolatier school. Just writing it makes me happy. What a great thing to be able to do!! Congratulations on starting chocolatier school, really looking forward to learing vicariously! 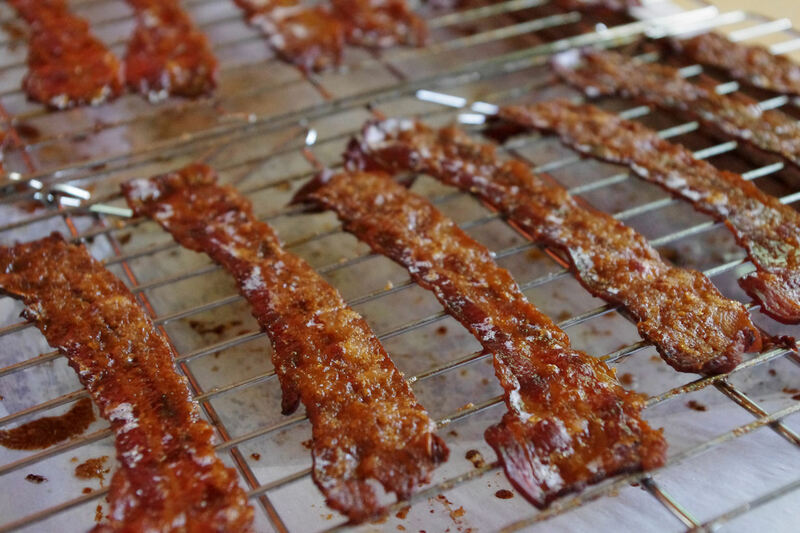 Candied bacon is just the bestest thing ever, isn't it? :) The last time I made some, I saved a few strips to crumble onto some homemade vanilla ice cream for dessert. Pure sweet/salty heaven. Just when you think bacon can't get any better...it gets better! Looks so good. Good for you, that sounds like a lot of fun! ..and the candied bacon--HEAVEN! Chocolate making school sounds amazing. Congratulations! I can't wait to read about it. 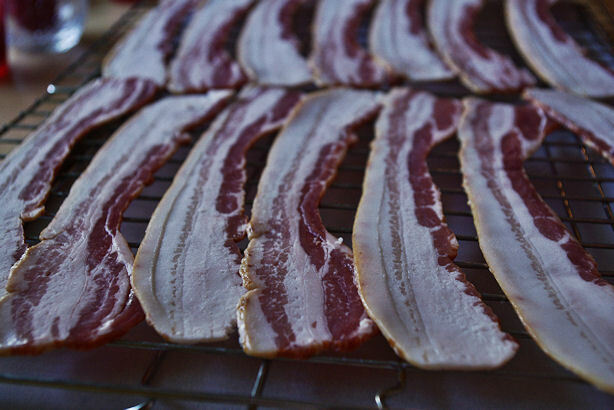 and OMG this candied bacon--I need to make it asap! Your candied bacon looks soo good. Do you think that it would work on turkey bacon? Good Luck in your new pursuit, chocolatier school!!! Hi Megan-Sorry, I haven't commented on your blog in a while...you most definitely have a nice cut of bacon for it to make such a perfect and yummy candied bacon. So enticing, and addictive! It has become an enormous success. I love your holiday photos, so amazing. Looks like you and your family had a wonderful holiday. Gosh, Megan, this is killing me! I have seen this on other fellow bloggers, but yours looks the best! The bacon looks great. And congratulations on your chocolate course! megan - I know you posted this a while back, but in browsing your site, the name caught my attention and I'm SO GLAD! These are AWESOME! I love, love, love bacon - but then who doesn't. Candies bacon has GOT to be good! Definitely will try this!